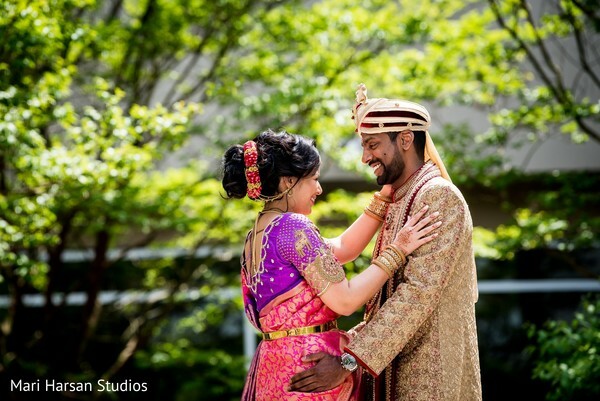 There is nothing better for a Friday than a Fusion wedding, and that is exactly what I have for you today thanks to the wonderful images shared with us by Mari Harsan Studios! 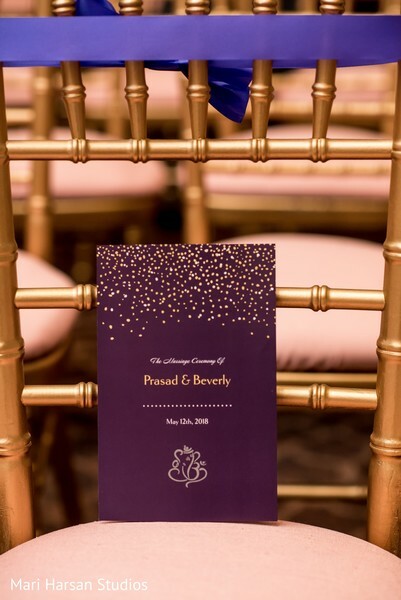 The first part of this tender fusion wedding album is filled with the couple’s first-look wedding photos, where debutant Indian bride Beverly, unveiled her inner goddess for the camera in a bespoken bright pink and purple silk saree that she brilliantly combined with a lovely low bun created by La’Glam Studios. 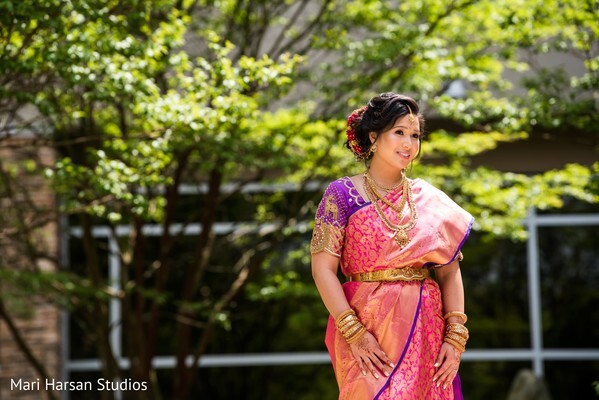 Looking gorgeous in pink sarees with sweet violet floral bouquets, the bridal party made a striking combination with the bride’s attire! 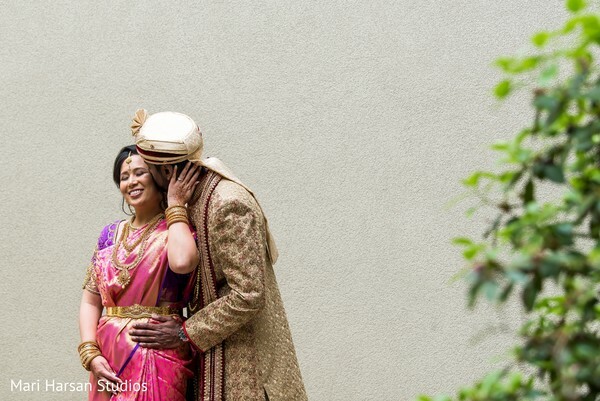 Together they look perfect! 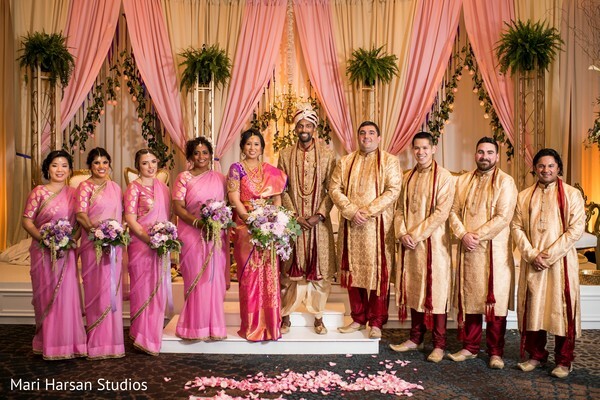 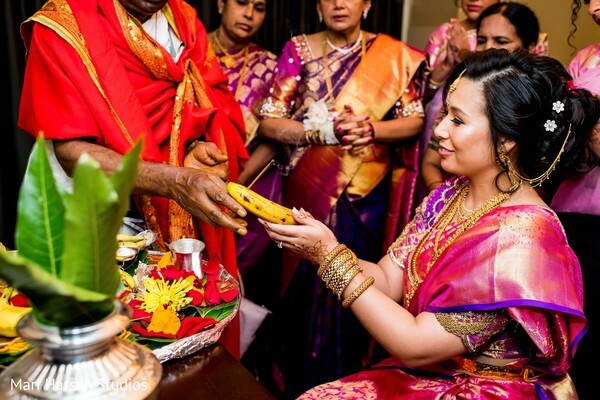 The exclusive Westin Baltimore Washington Airport was the fabulous scenario for this love story where Beverly and Prasad united their lives in marriage in a grand Hindu ceremony that exhibited symbolic and beautiful rituals. 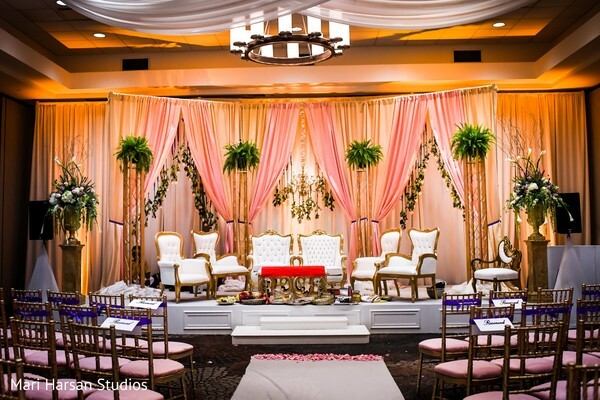 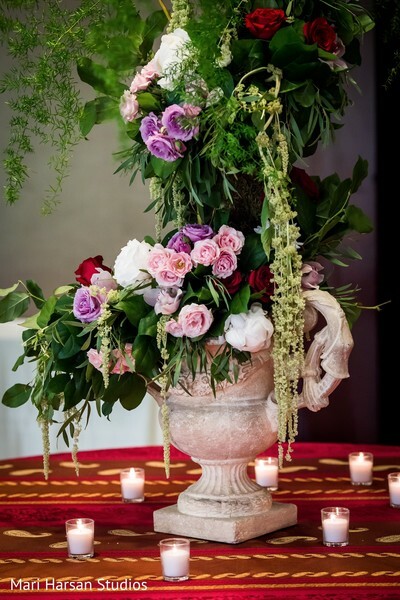 The union was performed in an enchanting stage designed by Sheila Smith that embellished the prime area with pink and cream drapes and added a touch of romance with hanging pink roses from the edges of the fabrics! 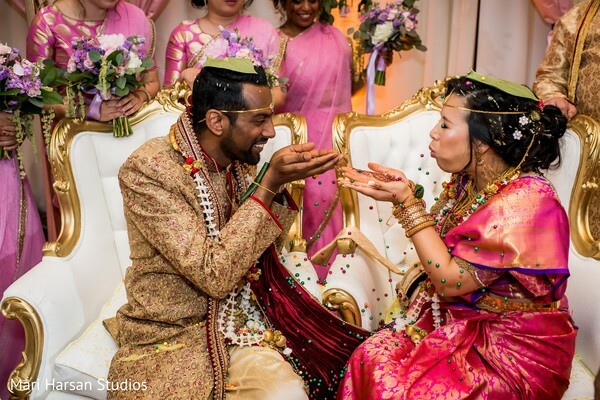 See the adorable ceremony in our full gallery! 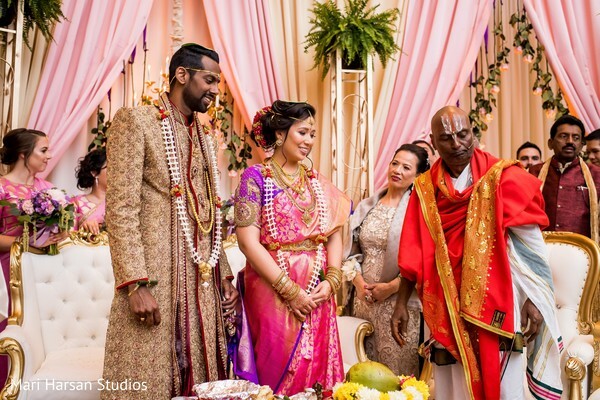 Make sure to check our next feature with all the charming white of the western ceremony!